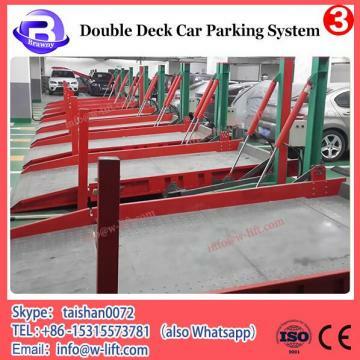 double deck car parking system's a kind of valet parking equipment, suitable for both commercial and residential parking purposes. Standalone double deck car parking system moves only vertically, so the users have to clear the ground level to get the higher level car down. Standalone double deck car parking system is hydraulic driven with chains. The equipment can be used for both sedan & small SUV. 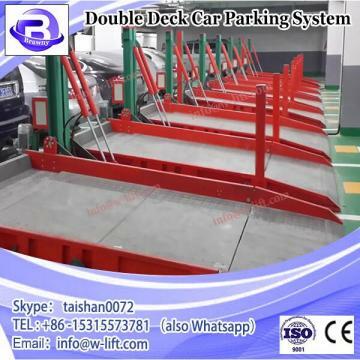 With professional design and friendly package, double deck car parking system becomes simple on installation. What’s more, detailed installation manual, drawing and video attached with products will help customers have easier installation work.The posts could be shared when they are installed side by side, which can save cost, land space,Standalone double deck car parking system and container space.Thanks to the hydraulic driving mode, our lift could have a faster lifting speed. Even though there is power failure, the upper car still can be retrieved by manually operating the solenoid valve.